As a public law library, the Law Library serves a wide range of communities, including self-represented litigants. In addition to providing self-represented litigants with reference, instruction, and referral services, the Law Library coordinates and hosts programs that provide limited legal advice and assistance for civil matters through a partnership with the Maryland Volunteer Lawyers Service. Last week was a busy week for the Law Library as we hosted four programs/clinics, all of which were open to the public. Here’s a recap! On Wednesday, September 16, 2015, the Law Library hosted another successful Ask a Lawyer in the Library program. Brian Lyman from Hillman Brown & Darrow, P.A., served as our volunteer attorney and met with six people. Brian assisted the program participants on issues such as bankruptcy, landlord/tenant matters, contracts, peace orders, procedure (motion for summary judgment), and benefits. If you’re interested in learning more about our weekly Lawyer in the Library program, check out our past blog posts here! On Wednesday, September 16, 2015, the Law Library hosted its third Foreclosure Clinic! We are happy to announce that this will be an ongoing monthly program at the Law Library! Specific dates will vary, but the Law Library will host the clinic once a month. Upcoming dates are Wednesday, October 14, 2015, Wednesday, November 18, 2015 and Wednesday, December 16, 2015. 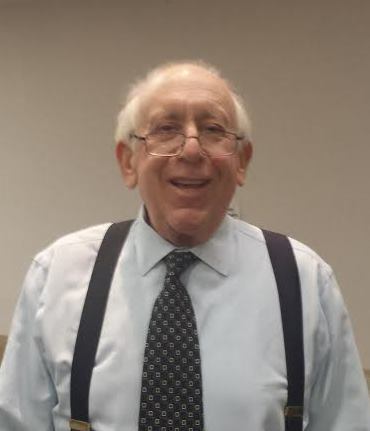 Thank you Fani Kartartziz, who provided consultations to three program participants and Lonni Summers of the Maryland Volunteer Lawyers Service, who coordinated the program. Fani answered questions about foreclosure and provided information and advice about foreclosure-related court papers and documents. To learn more about this foreclosure clinic and other foreclosure resources, check out our past blog posts here. 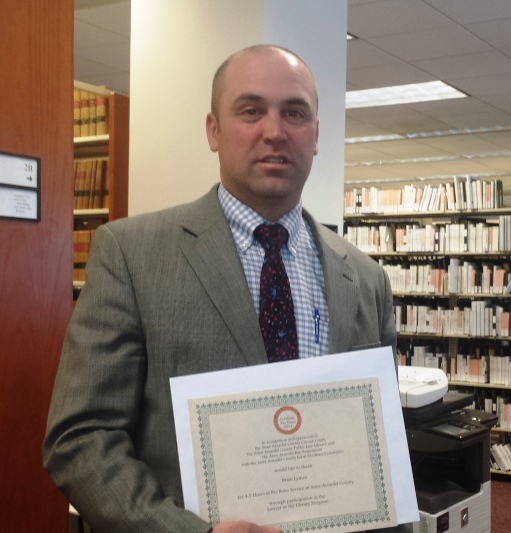 On Wednesday, September 16, 2015, the Law Library coordinated another successful Ask a Lawyer in the Library program at the Glen Burnie Regional Library. This monthly program is held every third Wednesday of the month. Joan Bellistri provided on-site program coordination and administration. Our volunteer attorneys, Mary Albrecht-Jordan (The Law Office of Mary A Jordan), Andrew DiBlasio (Staiti & DiBlasio), Alan Forman (Forman Clothier Law Group), and Jenna Forman-Clothier (Forman Clothier Law Group) provided nine people with limited legal advice and assistance on issues such as income tax, wills, loan modifications, immigration, and property. 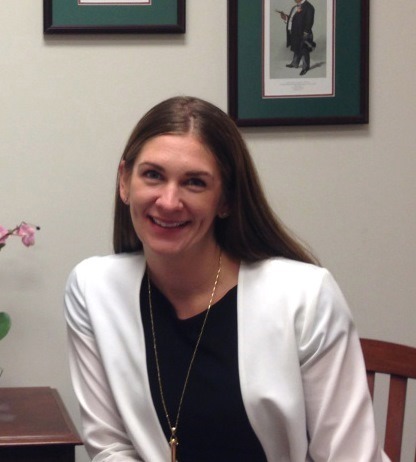 This was Jenna Forman-Clothier’s first volunteer experience with the Lawyer in the Library program, and we are very excited to add her to our roster of volunteers! Next Program Date/Time: Check out this schedule for future clinic dates in Baltimore. On Thursday, September 17, 2015, the Law Library hosted a bankruptcy seminar, coordinated by Lonni Summers of the Maryland Volunteer Lawyers Service. 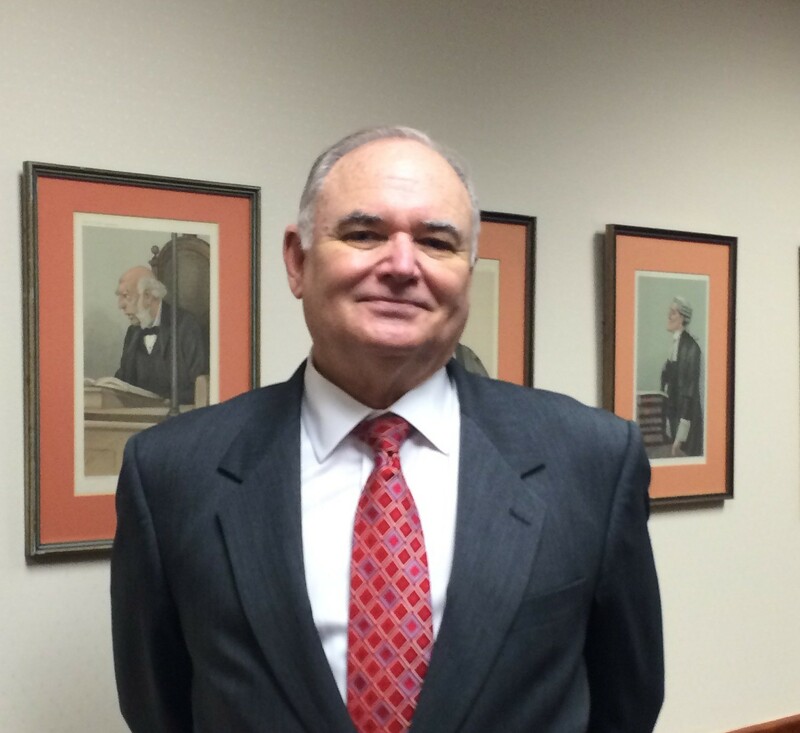 Wayne Clark, an experienced bankruptcy attorney, led the seminar. Wayne presented a class on bankruptcy, which included demonstrations on how to fill out bankruptcy forms. In addition, Wayne answered questions and reviewed the bankruptcy forms for the clinic’s attendees! Thank you to all our volunteers for providing these valuable services to the public! To learn more about the programs available at the Law Library or to volunteer, please contact us! Training opportunities are available for attorneys interested in volunteering! On Saturday, March 28, 2015, Anne Arundel County held its 8th annual Homeless Resource Day at Annapolis High School. This was the seventh year that volunteer attorneys from Anne Arundel County provided individuals and families experiencing homelessness with legal assistance. The Anne Arundel County Local Pro Bono Committee worked hard to recruit volunteer attorneys to participate in the Resource Day and to create a program to train the volunteer attorneys in assisting individuals seeking to file a petition for expungement. Prior to Homeless Resource Day, the Law Library hosted an expungement training program provided by the Homeless Persons Representation Project. This year, 18 attorneys provided 74 clients with legal advice on 83 different issues ranging from criminal records to wills and , the most commonly asked about legal issues were expungement of criminal records and family law. Ten expungement petitions were filed for three participants. The Anne Arundel County Local Pro Bono Committee maintains detailed statistics, which can be found here. Thank you to our volunteer attorneys and Local Pro Bono Committee members for providing this pro bono service to Anne Arundel County’s citizens in need. Local Pro Bono Committee members in attendance were Joan Bellistri, Michelle Moodispaw, Anita Bailey of Legal Aid and Bill Davis of the Public Defender’s Office. Other attorney volunteers from the Office of the Public Defender were Bill Cooke and Jessica Wisner. Additional Legal Aid volunteers were Margaret Leonard and Kathleen Hughes. Volunteers Tasnima Apol, Kari Fawcett, Dallas Houston, Jessica Daigle, Kurt Roper, Gene Brennan, Ginina Stevenson and Bob Waldman provided a wide range of experience and backgrounds. In addition, Jeff Gold from the Homeless Persons Representation Project was on hand to assist with expungement questions, and Lonni Summers, Ellyn Riedl and Cansa Hatfield from MVLS provided assistance with tax and consumer issues. MVLS reported 5 intakes. We look forward to providing even greater service next year! 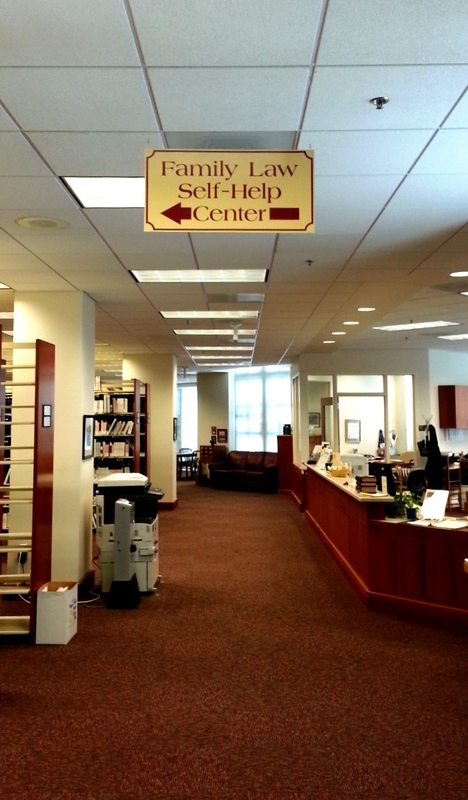 Follow the signs to the Family Law Self-Help Center when you enter the Law Library. The 2014 National Pro Bono Celebration this year is October 19th through October 25th. The Law Library is excited to once again be a Celebration Supporter! In honor of the National Pro Bono Celebration, this blog will be featuring posts focusing on pro bono and other free legal services for the entire month of October. Located in the back of the Law Library, the Family Law Self Help Center (FLSHC) assists unrepresented litigants in certain family law matters, such as divorce, child custody/visitation, child support and name changes. Below is a list of questions commonly asked at the Law Library’s Information Desk about the FLSHC. 1. Who works at the FLSHC? Is the FLSHC part of the Law Library? The FLSHC is staffed entirely by the Annapolis office of the Maryland Legal Aid Bureau. Although the FLSHC is housed in the Law Library, it is a separate entity from the Law Library. Information about the Maryland Legal Aid Bureau is available at http://www.mdlab.org/. 2. What are the self-help center’s hours? The FLSHC is open Monday through Friday. On Mondays, Wednesdays and Thursdays, the FLSHC’s hours are 9:00 a.m. to 4:30 p.m. On Tuesdays and Fridays, the FLSHC’s hours are 9:00 a.m. to 1:00 p.m.
3. Do I need to sign-in? Yes, the FLSHC provides assistance on a first-come, first-served basis. There is a sign-in desk at the FLSHC. The sign-in desk is NOT located at the Law Library’s Information Desk. 4. Is assistance available in-person only? No, you can always call the Family Law Self Help Center at (410) 280-5374, Monday through Friday, from 9:00 a.m. until 12:00 p.m. Also, you can call the Family Law Hotline at 1-800-845-8550. The Family Law Hotline is a statewide, free service, staffed by attorneys, that can provide service for basic family law questions. 5. I made an error on a form provided to me by the FLSHC. Can I get a new copy online? Some of the forms provided by the FLSHC are available online. You can check the Maryland Courts Website’s Family Law Forms Index, Law Help Interactive and the Department of Family Administration’s Family Forms Finder. If you are in the courthouse, stop by the Law Library. We may be able to assist you in locating the desired form. 6. Do I need to pay the FLSHC? No, the FLSHC is funded through a grant from the Circuit Court for Anne Arundel County. You do not pay the attorneys and paralegals for their assistance. 7. Can I make copies? Can I type things up on the computer? Can I print something I prepared at home? There are two copy machines available for public use in the Law Library (copies are 25¢ each), and computers are available for use in the Law Library’s computer room. You can print from the computer room (25¢ per page after the first 5 pages, which are free). The Law Library can help you with the copy machines and computers. Come find us at the Information Desk. Did you know that SASI-Calc, the Child Support and Alimony Calculator is available in the Law Library? If you would like to use SASI-Calc, it is available on select computers in the Law Library’s computer room. If you have any questions, come find us at the Information Desk or contact us! Anne Arundel County celebrated Pro Bono Week and the 100th Birthday of Legal Aid by offering free, limited legal advice on civil matters in the law library. 15 Anne Arundel County volunteer attorneys provided 20 hours of free legal advice to 44 people this week. Each attorney was available for at least one hour slot on Tuesday through Thursday from 12:00 to 5:00. (Our regularly scheduled Wednesday program still began at 11:00.) Many of the attorneys stayed to help beyond their promised one hour in order to help when there was a bit of a wait. The busiest times seemed to be between 12:00 and 2:00 p.m.
Issues for which the attorneys were consulted included trusts, wills, torts, landlord\tenant, employment, foreclosure, real property, deeds, accident cases and family law. Now that the Family Self Help Center is located in the law library many of the family issues could be easily referred to the center. However, it worked out well on Tuesday when the Center closes at 1:00 to have the volunteer family law attorneys available throughout the afternoon. Jeff Bowman, Mary Jordan, Susan Mays, Carolyn Krohn, Kathleen McLaughlin, Darren Burns, Doug Hollman, Dana Paul, Alan Legum, Anita Bailey, John Greene, Lisa Sarro, Garland Hall, Elena Boisvert, Bob Waldman and Kunle Adeyemo.